In October of last year, NOAA Fisheries published the Fisheries of the United States for 2016. For the first time, the federal agency’s yearbook of fishery statistics highlighted the massive seafood trade deficit that the United States runs with the rest of the world. Specifically, NOAA Fisheries reported that in 2016, the United States’ seafood trade deficit with Asian nations was $6.98 billion. 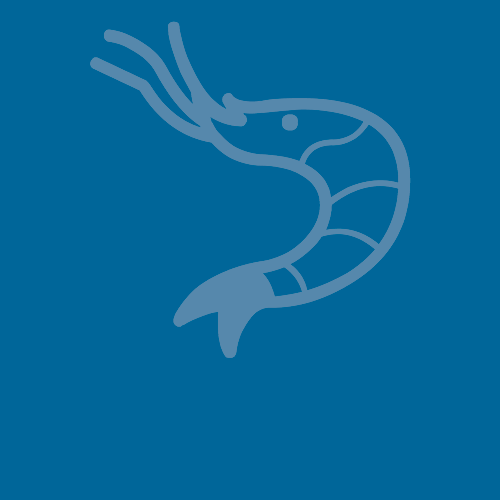 Shrimp, on its own, accounted for 46% of the total seafood trade deficit with these countries. NOAA Fisheries’ reporting comes in response to President Trump’s Executive Order regarding an Omnibus Report on Significant Trade Deficits proclaimed in March 2017. At the time the Executive Order was issued, the United States’ annual trade deficit in goods exceeded $700 billion. Recently released trade statistics from the U.S. government for 2017 indicate that the trade deficit in shrimp products grew substantially last year. The total U.S. trade deficit in shrimp products reached a total of $6.4 billion last year, an increase of 15.6% compared to 2016. It was the second straight year that the country’s trade deficit in shrimp products increased, with the amount in 2017 now 23.7% larger than the $5.2 billion deficit seen in 2015. 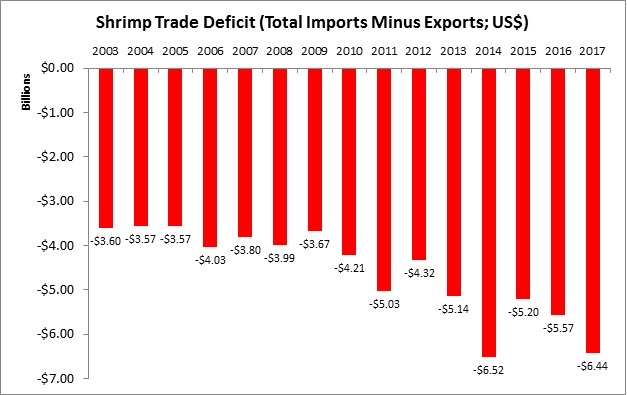 As shown in the chart below, the shrimp trade deficit in 2017 was the second highest ever recorded for the United States.